Ever wanted a career in esthetics, hair design or nail technology? Well, that dream career can soon become a reality for students of Taylor Andrews. Our world-recognized, accredited beauty school is excited to announce that we’ll soon be offering courses in nail technology, hair design and basic and master esthetics. We hope to have these exciting, new programs up and running within the next year or so, offering more beauty career options to students. Nail technology involves the use of nail products, nail care and styling tools and techniques to care for nails and also make them aesthetically pleasing. Nail technologists work with both finger and toe nails as well as treating the hands and feet. A nail technician isn’t the same as a manicurist. A manicurist will do all the things a nail tech does plus be able to do waxing, such as that of the eyebrows. A nail technician will trim nails and apply nail polish, acrylic nails and other nail treatments, coat the nails and buff the nails so they look amazing. The nail tech program is great for students who want a career specializing in nail care or who are looking for a quicker, effective way to eventually becoming a manicurist. Ever dream of being a personal hairstylist for Hollywood’s greatest celebrities? Or maybe you just enjoy being creative with hair and love the challenge of coming up with the best hair design for particular people. If any of these describes you, a career in hair design (also called hair styling) may be the best fit for you. Hair designers, or stylists do more than shampooing, coloring and basic hair trimming. They also get to turn their client’s hair into marvelous, attention-grabbing works of art. Are you the person friends and family ask to recommend skin care products or shades of foundation? Are you an advocate of skin treatment options? An esthetician is someone who specializes in beautifying their clients’ skin so they can look their best. As a licensed esthetician, there are many career paths you can take which range from working in a spa, to being a personal beauty consultant to working in a medical office. A basic esthetician can do, well, basic, fundamental skin care and treatment services including: facials, waxing, makeup application, spa treatments, eyelash extensions, nail treatment and eyelash and eyebrow tinting. To be a master esthetician, more hours of schooling at an accredited beauty school will be required. In addition to the same services basic estheticians offer, master estheticians will also be able to perform laser treatments, chemical peels, microdermabrasion, treat skin disorders, do advanced hair removal and provide medical facial and skin treatments to patients. While these programs are still in the works, our goal is to inspire our students and provide students the opportunities to pursue their passions and dream careers. Starting soon, students of Taylor Andrew’s highly recognized and accredited beauty school could pursue their dream careers in nail technology, hair design, basic esthetics and master esthetics. 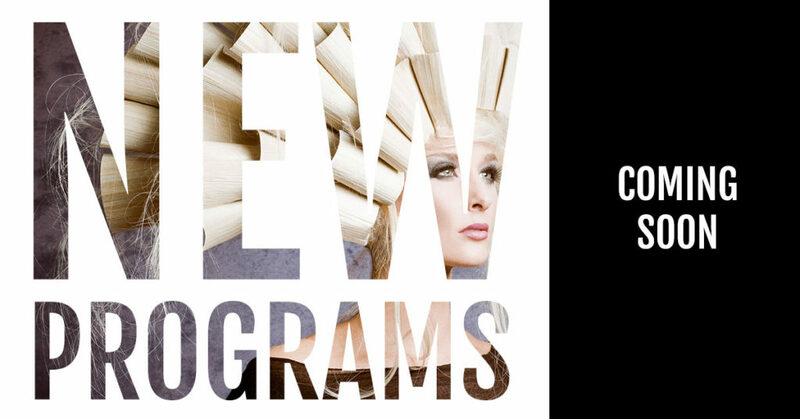 To learn more about these future programs or about any of our current programs in cosmetology, makeup artistry, barbering, microblading and lash extensions, contact us today!